While making my rounds cruising up and down Newbury and Boylston I popped in to Nordstrom rack… A relatively new department store for the area. My mom gave me a gift card for my birthday a couple of months ago that I still hadn’t used. I have been in a couple of times but have never found anything too inspiring…. I did get a cute Michael Kors touk one time… But flustered by a phone call and tangled in my purse and scarf I ended up paying cash for the damn thing! Ever since that day this gift card has been burning a whole in my wallet (which by the way is a white gucci men’s card case…tres chic). When I walked in today I decided that today was the day I would SPEND IT! I was wishing and hoping for something amazing…. And right there…. There they were! Not only are they totally awesome, but they fold down to pocket size convenience to fit in your clutch, teensy wincey skinny jeans pockets, or breast pocket. I myself recommend keeping them on your face where they belong…. But if you have to take them off throw them on top of your head. They don’t have the wirey nose piece that gets all tangled in your hair. There were a couple of pairs left over there…. 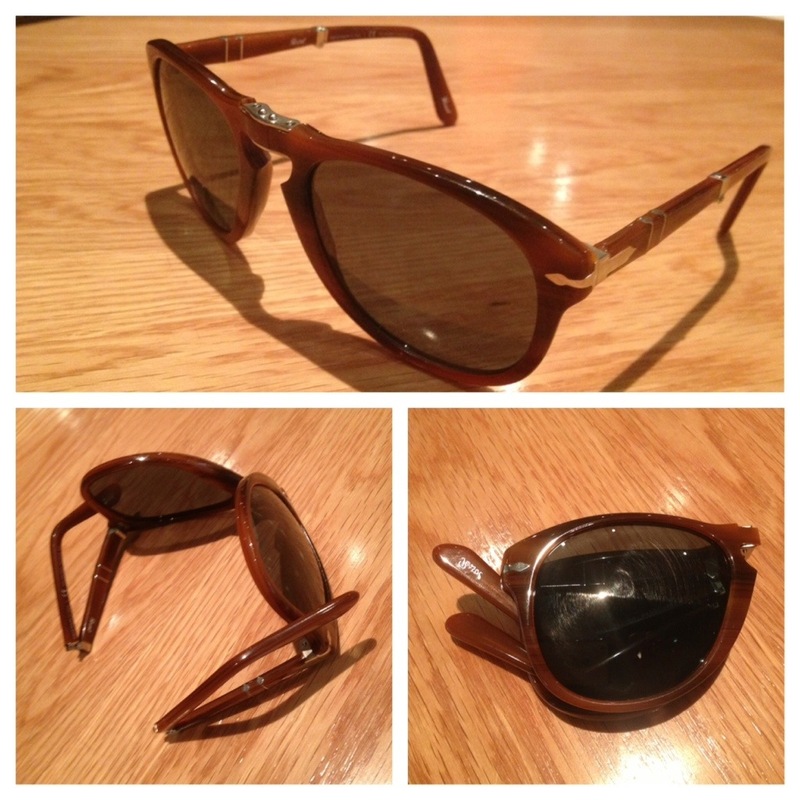 Some in a wood like grain like mine, one or two in tortoise shell like and one in black. They also come with an awesome case and snazzy lens cloth to keep your new shades clean so you can spot more awesome stuff in stores and take in all the beautiful sights and sounds of our awesome city!